India is consecrated with the mighty Himalayas that offers plethora of opportunities to hike and try adventures. There are several treks in India which are suitable for different seasons. Out of all, some are categorized as winter or snow treks also. The word Himalaya means “Abode of Snow” and due to its higher terrain, the Himalayan region receives an ample amount of snow especially on treks. These treks become too scenic like a snowy wonderland after receiving the snowfall. The treks will give you the snow experience like never before. If spring is the season for nature lovers, then winters are for thrill seekers. The snow treks let you walk through winty grasses, snow laden trails, frozen lakes and verglas made of streams. 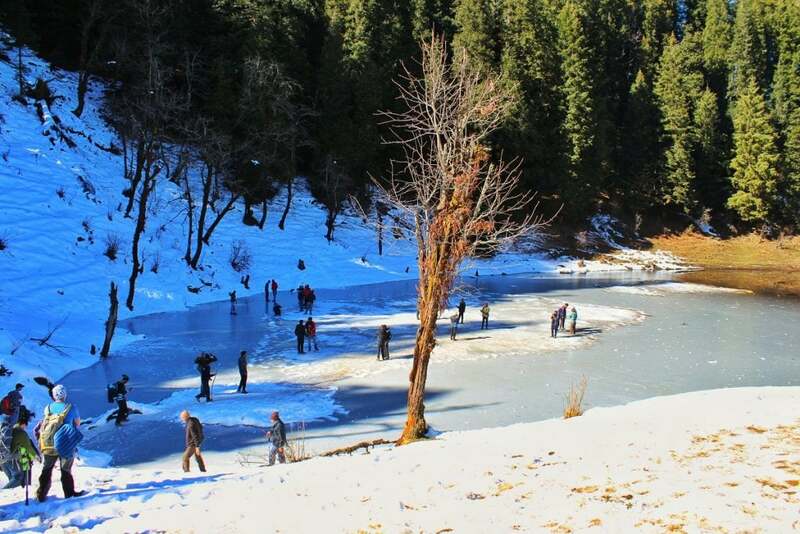 Here we introduce you to some of the Best Winter Treks in India that we are organizing this winter. 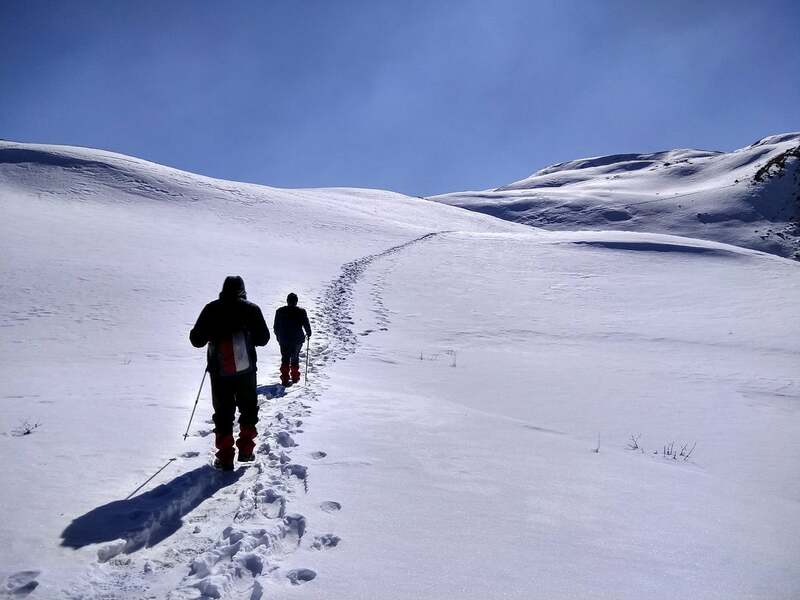 The most renowned winter trek in the Indian Himalayas. Kedarkantha is peak located in the Uttarkashi district of Uttarakhand. 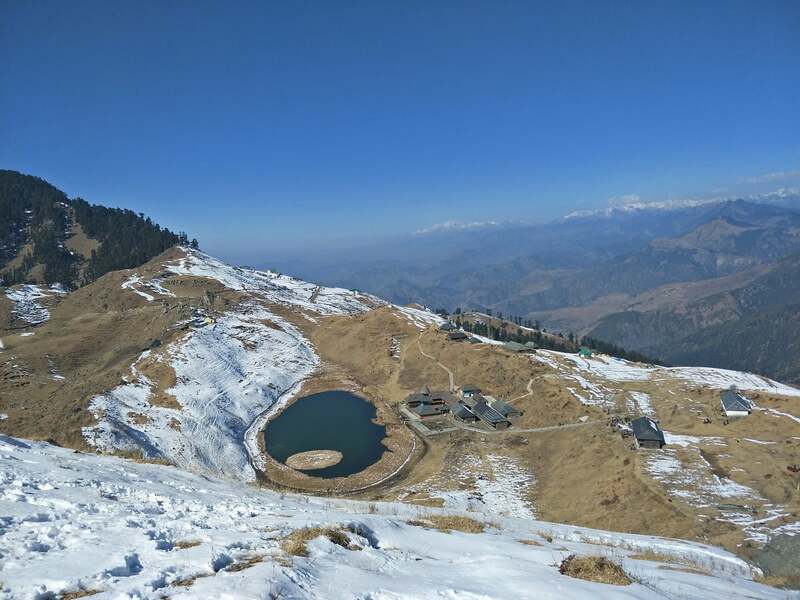 Standing at an altitude of 3400 m, the peak offers panoramic views of Himalayan peaks and valleys. The trek is 5 days long and starts from a small village Sankri. Also called as Lord Curzon trail, Kuari Pass trek is a another popular winter trek in Uttarakhand. The trek begins from a village called Dhak, which is situated near the famous tourist spot, Auli. The maximum altitude one can reach is 4264 m from where a vista of remarkable Himalayan peaks can be seen. Some of the peaks are Nanda Devi, Kamet, Trisul and Chaukhamba. Brahmatal is a lesser explored trek that can be done in winters. The trek offers excelent views of the lake and surroundings. There are two lakes that can be explored while on the trek, viz, Bekaltal and Brahmatal. The trek span is 6 days and is suitable for beginners. The trail of this trek passes through beautiful valleys, oak trees and tiny hamlets. 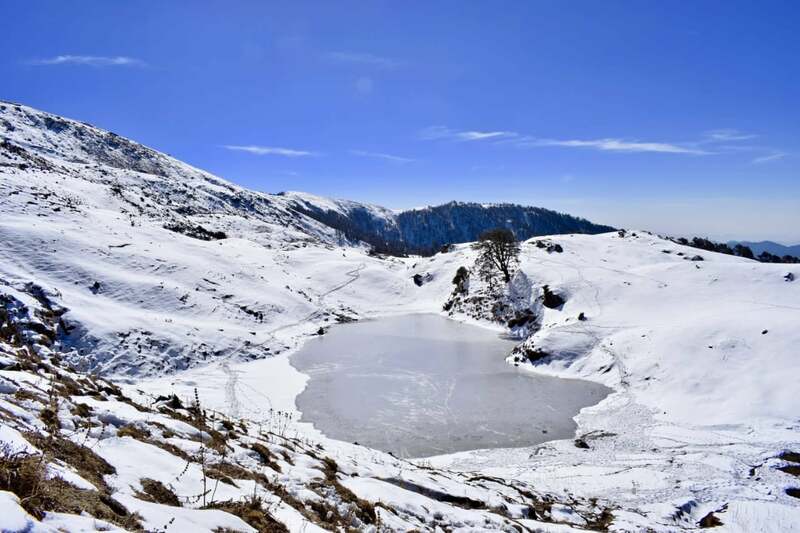 Considered one of the best weekend treks near Delhi, Parashar Lake is one of the few treks in Himachal which is operational round the year. The trek is situated near Mandi, and is 9 km long. The trail passes through river streams, forests, meadows, and finally to the lake. Another famous weekend trek near Delhi, Nag Tibba is the highest peak in the lesser Himalayas of Uttarakhand. 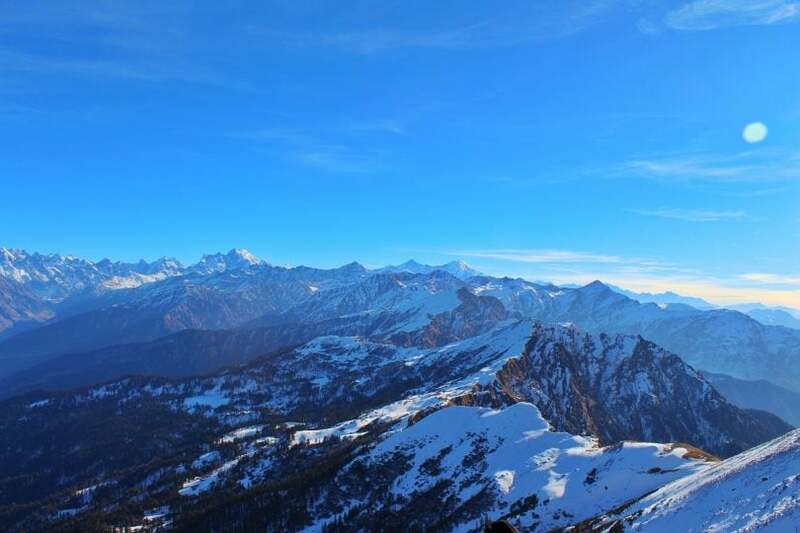 Standing at an elevation of 3000 m, the peak is known for the views of snowcapped Himalayan ranges. The trek is easy and is the best suitable trek for beginners and novice hikers. 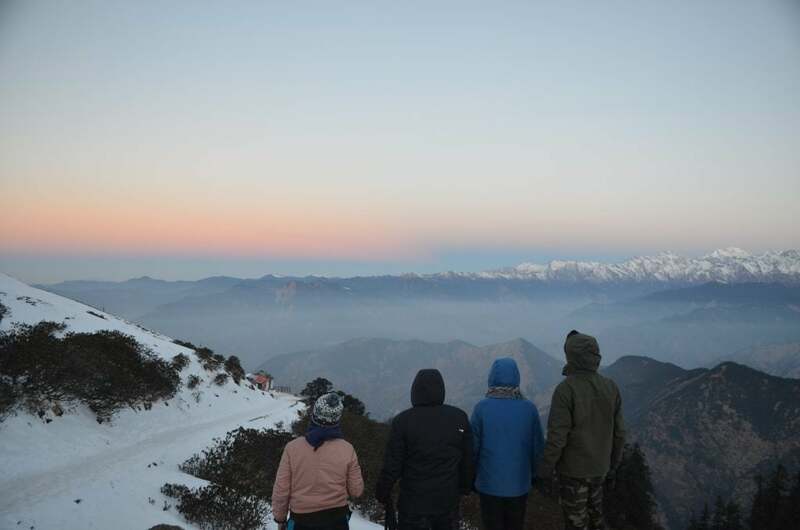 Considered the best multi-day trek near Delhi and known for its grand views of Chaukhamba peak. The trek commences from a tiny hamlet called Sari and ends at a renowned tourist spot, Chopta. The trek offers you an opportunity to experience the nature at its best. The best part is the 14 km forest trail to Chopta. Also called as Valley of Gods, the trail of Har Ki Dun is one of the most beautiful trails in the Indian Himalayas. The trek offers an amphitheatre view of Swargarohini peaks, which is also called the Gateway to Heaven. 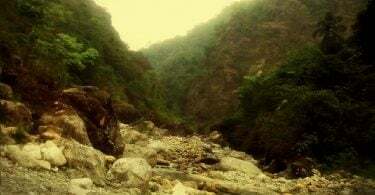 Difficulty level of this trek is moderate and is 65 km long. Considered one of the most scenic Bugyals or Alpine meadows in the Himalayan region, Dayara Bugyal is a 4 days trek that begins from Barsu village in Uttarkashi. The bugyal offers the best and close view of Banderpuch peaks and the complete Gangotri ranges. Difficulty level of the trek varies from easy to moderate and the trek is 4 days long. These are few good snow and winter treks that one can plan for during the month of December, January and February. For details on any of the trek or any assistance in the planning do get in touch with Rohan 92057 25727 or Manu 95824 32437.